The Directory of Traditional Building Skills draws together a wide selection of those working in the fields of historic building conservation, ranging from architects to quantity surveyors to specialist sub-contractors. A key element to any successful restoration project is to ensure that appropriate conservation works are carried out using the correct methods and most appropriate materials by qualified and experienced consultants. The Directory of Traditional Building Skills identifies and promotes the importance of traditional building skills in the conservation of historic buildings and hosts a variety of associated conservation specialists in Northern Ireland. If you are a practitioner or crafts person that works with historic buildings and would like to be featured in the Directory, please read more and apply here. This directory has been produced by UAHS supported by the Historic Environment Division (HED), Department for Communities (DfC) as part of the Built Heritage at Risk NI (BHARNI) project. Please read the disclaimer below before continuing. 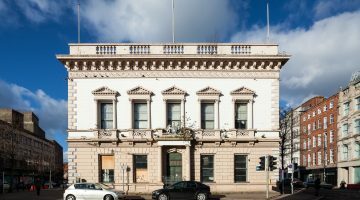 Inclusion in The Directory should not be regarded as either a recommendation or an endorsement by the Ulster Architectural Heritage Society. The Directory has been compiled from information given by those listed and no responsibility is accepted by the Ulster Architectural Heritage Society for the accuracy of the information, or for any fault or accident arising from the workmanship of anyone listed, or from materials used or supplied by them.